Nowadays, it is not easy to keep a product secret, considering the power of the Web! Despite of this, there's a line of Class D amplifiers that is almost unknown in audiophile circles, and this is weird, considering the amps have been around since 1996! 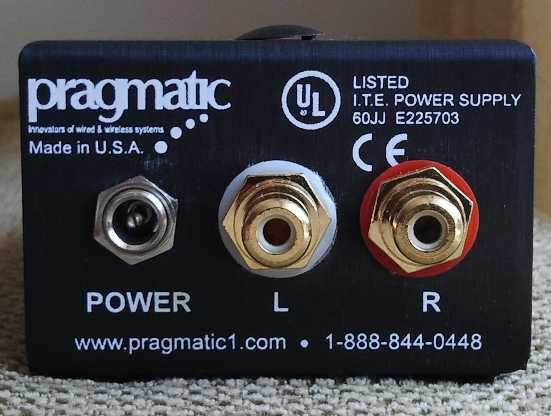 The only thing you can find Googling around is a 2009 review of Audioxpress by Wim de Haan who built a power amplifier using Pragmatic SIWA 248 modules. The reason why these amplifiers are not widely known is perhaps related to the quite radical Company policy (no advertising, no contacts with magazines and a direct sales program, more on this below). Two words about Pragmatic Communication Systems, Inc.: the Company is located in Sunnyvale, California, a city in Santa Clara County, one of the major cities that make up the Silicon Valley, located in the San Francisco Bay Area. 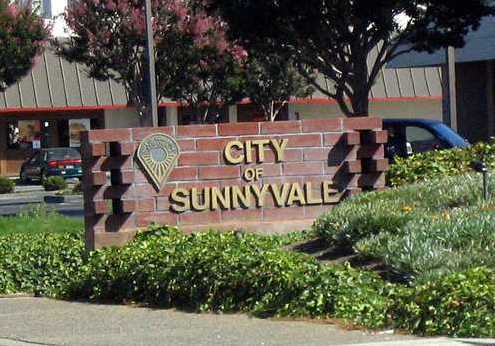 Among others, AMD and Yahoo headquarters are located in Sunnyvale. Pragmatic specializes in a wide range of wireless and electronic devices, ranging from healthcare, educational and audio/video areas. In other words, HiFi isn't exactly their core business, though Prasanna Shah, their chief desiger, seems to be an avid audiophile. While they were reluctant to let a HiFi magazine test their products, they changed their mind when they understood we are different from the others since we accept no ads nor subscriptions. After few months a complete SAA 248 power amplifier (main unit + PSU) arrived at my door. 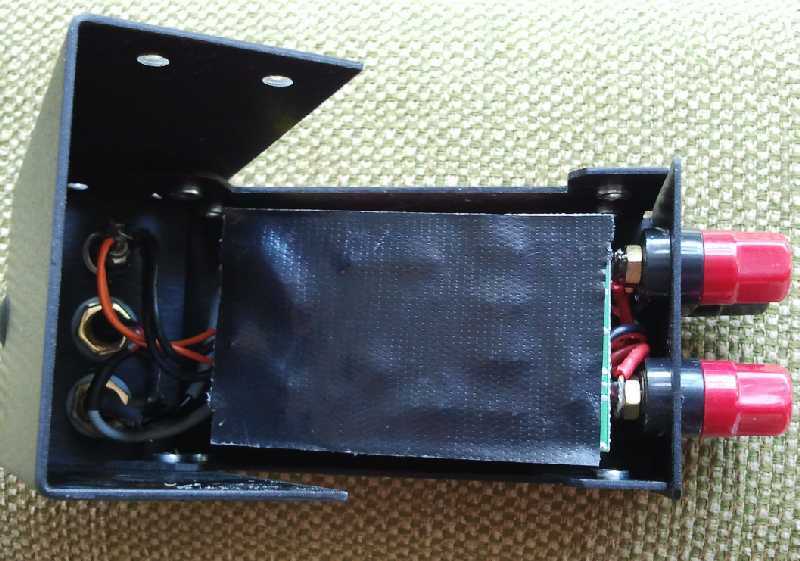 It is hard to say what's inside this small amplifer, since it is completely sealed! Lifting the top cover doesn't help much, since the circuits are protected by a soldered shield that can't be removed without destroying the amplifier. I haven't been able to detect the kind of power chip hidden below the heatsink. We have a long tradition of respecting products on its own merits. In this day and age, almost all commercial magazines are reviewing products in exchange for fees or advertising money. And many manufacturers send their products to these magazines as gifts with the intentions of getting a favorable review. Pragmatic has a long tradition of staying away from this commercial symbiosis. We have almost never paid for advertisements in the magazine for our products. (Sorry, we made a mistake once in 1996, and we regretted it and have never repeated it). All our sales have been through word-of-mouth, personal blogs of DIYers, and independent articles that were written without our knowledge. It is amazing to us when we get orders from all corners of the world and we inquire how they found out about us. 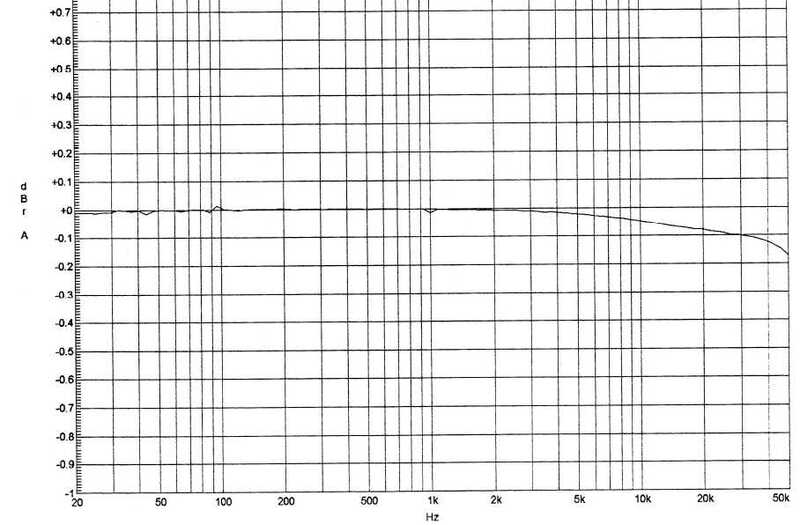 Apart from these commercial motivations, the reason for sealing the circuit perhaps can be explained with the need for EMI/RFI extreme shielding. Many Class D/switching designs do produce large amounts of EMI/RFI interferences. Considering these modules have been designed even to fit in wall installations that was one problem to be avoided! This SAA248 belongs to the HideAway™ Series and is the most powerful amplifier Pragmatic manufactures. Other models in the line are the SAA-212, SAA-224 and SAA-236, with power output figures as follows: 24 Watts (12 V DC), 36 Watts (13.8 V DC) and 48 Watts (15 V DC). As you can se from the pics, this is a really SMALL amplifier (actually much smaller than, say, a Trends Audio TA-10! 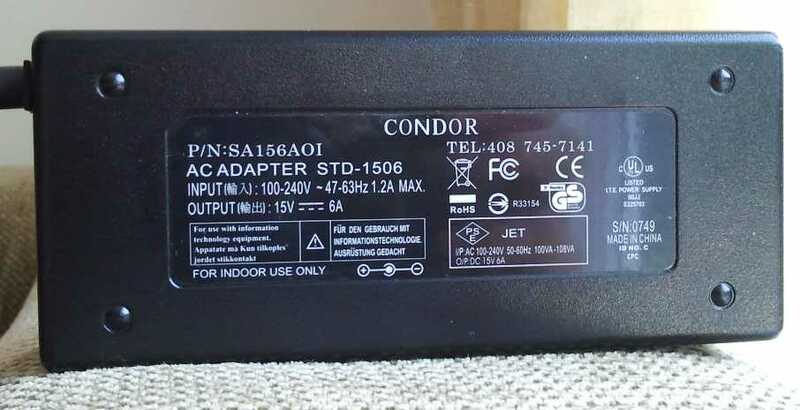 ), with an outboard 15V 6A universal switching power PSU supplied by Condor Electronics (again from Sunnyvale, CA, USA). The umbilical cable that connects the PSU to the amp uses of a ferrite cylinder, an extra protection against RFI/EMI, while it should be remarked that the central pin is (+) positive, in case you wish to upgrade the PSU. WARNINGS: there's no polarity mark on the amp cabinet! If you wish to upgrade the power cord, please note the type of IEC female socket on the PSU (standard IEC plugs found on standard audiophile cables won't fit!). 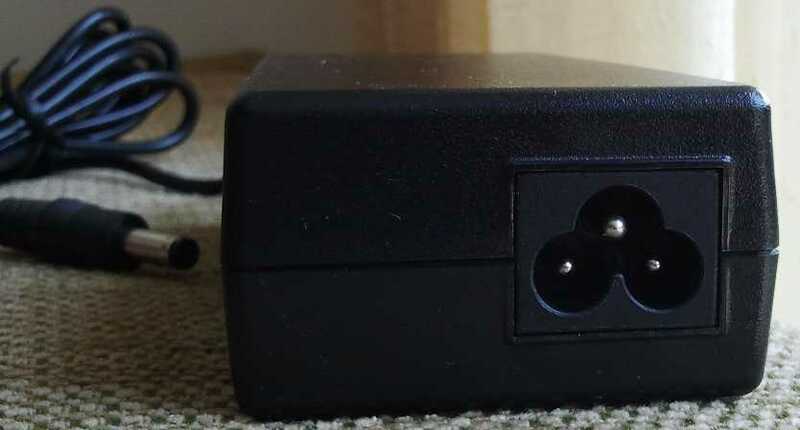 To be more precise, the PSU uses a standard IEC 320 C5 plug. 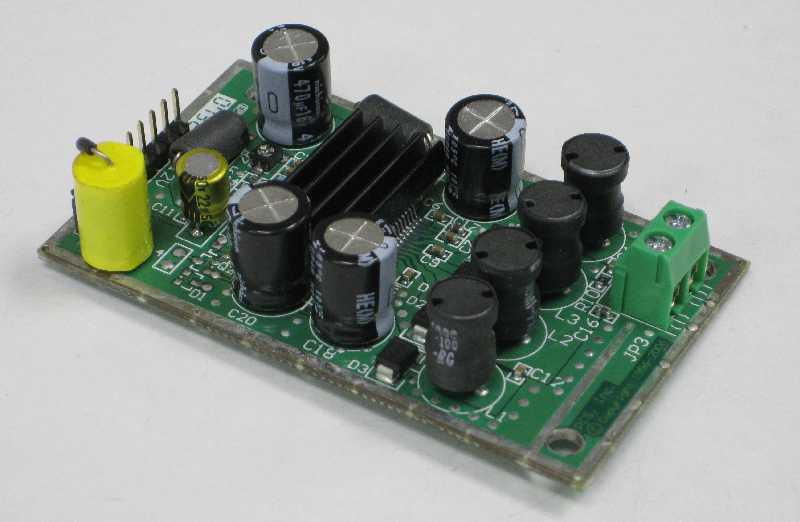 This power amplifier is as minimalist as it can be: not even a power switch or a led! Just connect the cables, the PSU and you're done. Of course, you need a preamplifier or an adjustable-volume line level source in order to use this unit. Speakers binding posts accept any kind of termination while RCA females seem of reasonable quality. The amplifier has handled 2 Ohm dynamic impedance while playing loud passages in music. The outputs should never be connected to ground because of the BTL output stage on each channel. Also, the two channels should never be tied together since they are completely independent modules. Connecting the outputs together will destroy the amplifiers! Available options. The optional volume control adds about $30 to the cost. They also sell a digital pre-amplifier with IR remote control that can be added as an option. The IR remote control pre-amplifier option adds $90. The Pragmatic SAA248 can be purchased factory-direct at www.pragmatic1.com. I've also found - from time to time - these amplifiers at CodeMicro.com. They might also appear on Ebay. Certainly this doesn't help worldwide sales, considering I had to pay nearly 100$ of customs fees importing the test sample...this can be different for other Countries. Considering it's a minimalist closed component there's no room for tweaks, besides the usual ones: power cord, PSU, isolation feet... Do not use bulky speaker cables connectors because the binding posts are really close one to the other. The same applies, more or less, to RCA's. Of course, being just 340 grams, even the lightest cable can flip it upside down, though the interconnect cables on the front of the amp can somehow counterbalance the weight of the speakers cables on the opposite side. Eventually use small blobs of blu-tack to secure the small amp to the shelf. With such a small, black box with just a pair of RCA's and speaker binding posts...there's no room for complaints! Of course, a on/off switch is necessary (one is forced to unplug the PSU to switch it off!) as is necessary a led that indicates whether the amp is on or off. 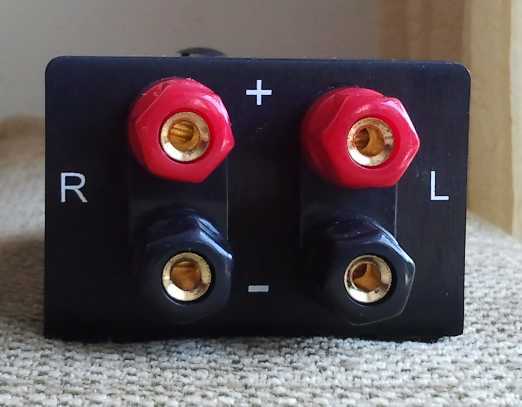 In my opinion the optional volume control should be installed by default, otherwise customers are forced to use an external preamp or a variable output source. So far, it sounds extremely promising!